Sometimes we like to change our surroundings, we like to see new things in our home. But it is not always we have money for buying all what we want. Other times we have so many things that we do not know what to do with or we have some things that we would like to keep and charise. In any part of life when you would like to change something the best advice is to do what you can with what you have where you are. The same goes for when you want to decorate your home without money. 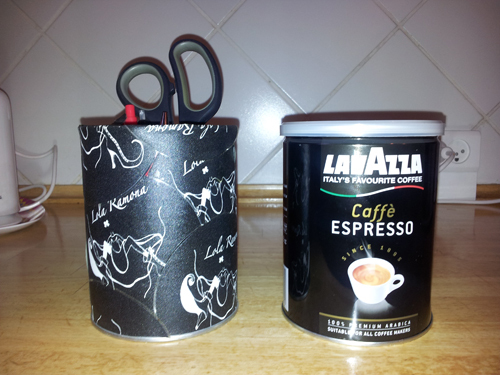 Combining these I will give you some tips on how to redeco your home with some of the things you might already have. All the things in this posting has something to do with the shoe brand Lola Ramona. It is a coincidence but I think it is funny that a shoe brand can do much more than being shoes. 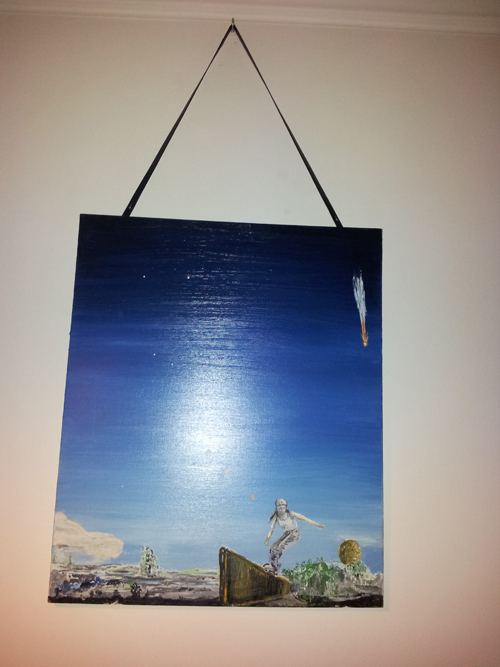 This painting from my father is pending with a leather lace forom a pair of winter boots. The boots have done their purpose but the xtra laces was so new that I could not get my self to throw them out. And now they are in perfect use on the wall. The shoe is a sample from Lola Ramona that never went into production. At the Lola Ramona office the shoes that had no partner were used as door stoppers. 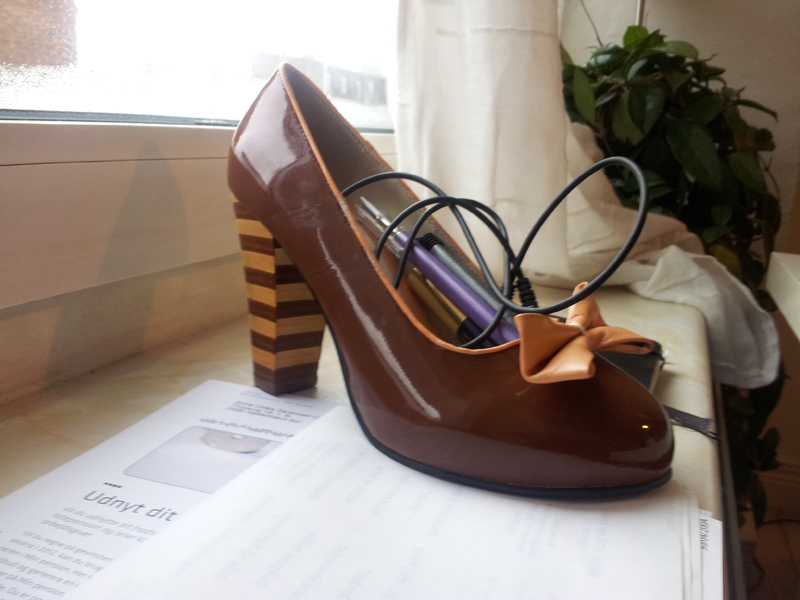 In my house the windows are very big, so this shoe here is both a window stopper and a pen and other stuff keeper. 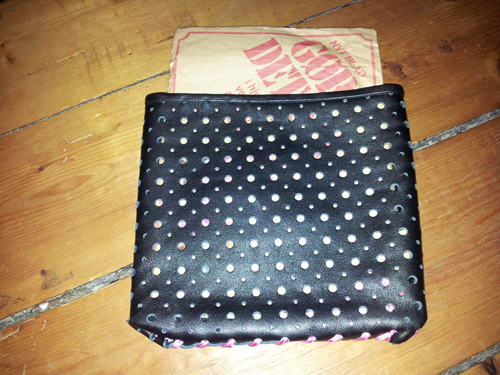 This little bag is made out of the top of a pair of long Lola Boots that I found was too long for my legs. The bottom has just been put together in the wholes with a silk thread. Categories: Recycling Accessories | Tags: accessories, fashion, recycle | Permalink.